I have used several Sue Wilson dies for this card. 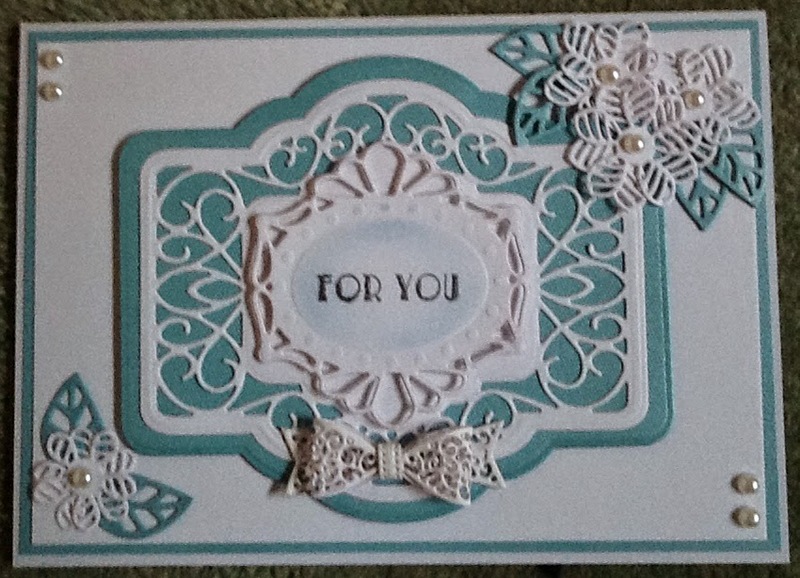 There's the French collection tag and Provence dies, Faux quilled blossoms and Itty Bitty bow. The design is also from Sue Wilson. i find her dies and designs very inspiring.